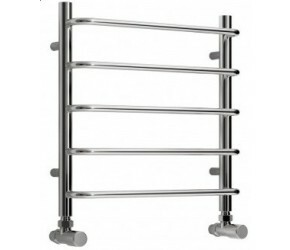 Chrome is one of the best finishes for towel rails bar none, providing a shiny - easy to clean and stylish option - our straight towel rails do an excellent job of heating both towels and your bathroom, for years to come. We take the ‘years to come’ bit very seriously too - with all of our chrome towel rails being copper plated, polished, nickel plated and then polished again, before chrome is added, guaranteeing quality. The straight, classic design of these towel rails suit both traditional and contemporary bathroom suites - and all of these chrome towel rails are available in a range of different shapes and sizes. 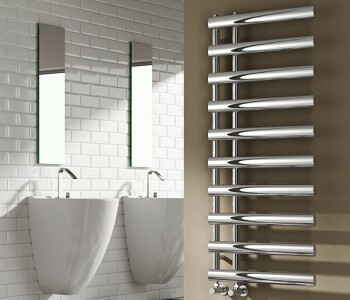 Working closely with suppliers, we are also able to bring these radiators to market at an excellent price point - allowing you to never have to use a cold towel again. Just browse the range above, and get in touch if you have any questions. 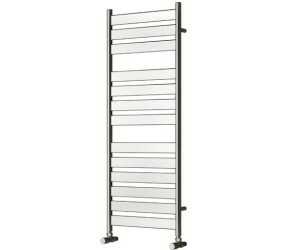 Towel Rails are some of the most popular products we supply at Designer Bathroom Store. Available in a range of finishes and designs, we supply these towel rails into a fantastic range of bathrooms all over the UK. All of our towel rails have been handpicked because of their excellent levels of quality and design, and all add a stylish and functional item into any bathroom. 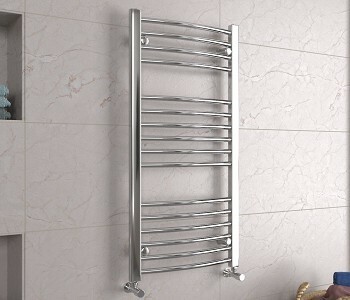 Amongst the best selling of these towel rails is our new range of Chrome Curved Towel Rails. The curved shape allows these towel rails to effectively heat both your towels and bathrooms - ensuring that getting out of the shower or bath is as pleasant as it can be! Handpicked from a carefully chosen few suppliers, these towel rails offer designer luxury and excellent performance at a brilliant price point. A range of sizes and specific styles are available - so do just get in touch if you have any questions about the range. 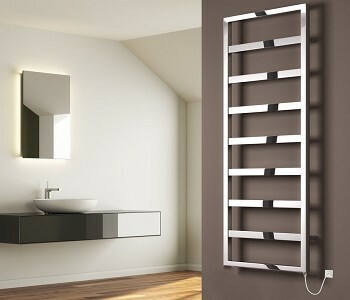 At Designer Bathroom Store, we know that chrome towel rails provide so much more than a warm cosy bathroom environment, as well as a warm fluffy towel to reach for when you get out of the bath or shower. This range of chrome towel rails also adds a stunning focal point into any style of bathroom - providing the perfect balance between style and function. Chrome is the perfect material for these towel rails too, providing a shiny yet easy to clean surface which brightens up a bathroom, adding a classic feel. All have been handpicked from a carefully few chosen suppliers, so quality and style is guaranteed. If you have any questions about the range, please do just get in touch and we will be more than happy to answer any questions you may have. 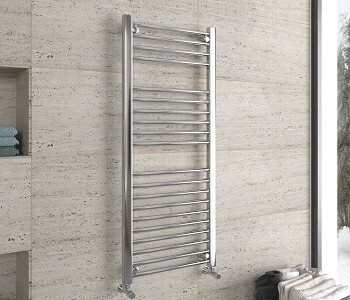 Firstly, they keep your towels warm, and hygienic and within reaching distance after your bath or shower. Secondly, they keep your bathroom warm through highly efficient heating. Lastly, they look absolutely fantastic – adding the perfect focal point into your bathroom.